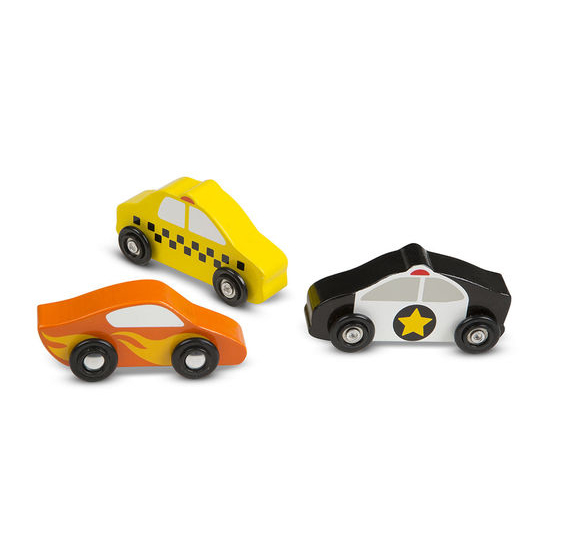 Race to the rescue, around the track, or all over town with these sturdy wooden cars! The nine-piece set includes cars, racecars, mini-van, police car, and taxi, each approximately four inches long. 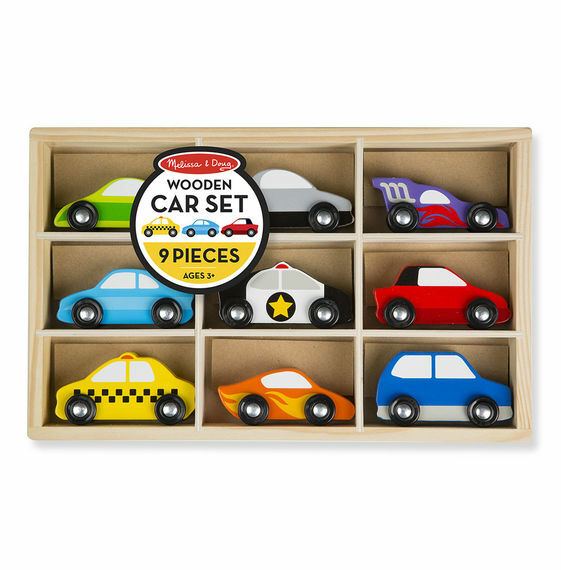 Race to the rescue, around the track, or all over town with these sturdy wooden cars! The nine-piece set includes cars, racecars, mini-van, police car, and taxi, each approximately four inches long. All are brightly colored, easy to identify, and fun for kids three and older to grasp and maneuver. Designed to play perfectly with Melissa & Doug Activity Rugs, the vehicles store conveniently or can be displayed in the compartmentalised wooden tray.